The Dascombe family were dairy farmers on this National Trust Farm until the 1960’s when they took the opportunity of creating what soon became a popular family Caravan & Camping Site. 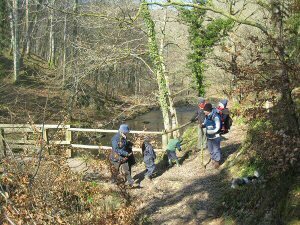 Today, Julian & Marion continue to offer a warm welcome to visitors and do all they can to meet the ever changing and modern demands without spoiling the old charm and natural beauty for which Burrowhayes is renowned. The car is easily forgotten with so many walks leading directly into the woods and onto open moorland where Red Deer and all kinds of wildlife can be seen. Stretches of the scenic South West Coast Path are easily accessible. 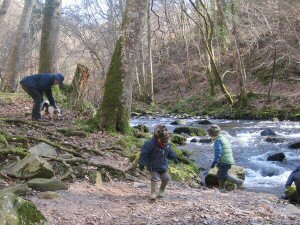 Children spend hours playing in the stream and exploring the woods, if not watching the ponies or challenging each other to a variety of games. 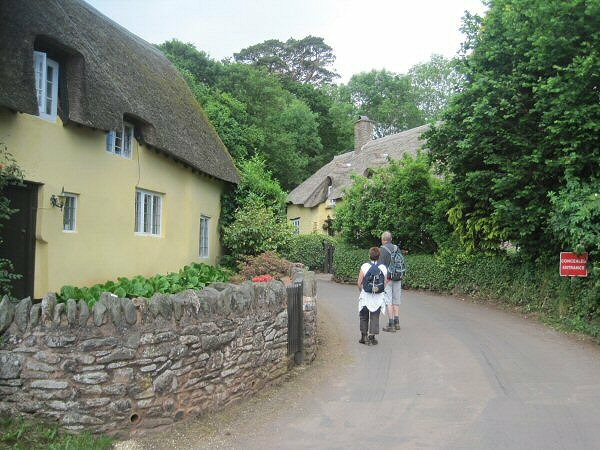 Porlock, 1 mile, (20 minutes on foot [walk]) is our local village with 3 pubs, a good variety of shops, cafes and restaurants. There’s a recreation ground providing tennis courts, a bowling green, and a children’s play area. Porlock Weir is a delightful little harbour where children love to go crabbing and sea fishing trips can be arranged. 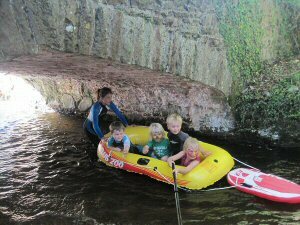 Minehead, 5 miles, is our nearest town offering theatre, most sporting facilities and a sandy beach. A short scenic drive via Porlock and it’s famous hill takes you to the mysterious Lorna Doone Country and Lynton & Lynmouth, known to many as England’s little Switzerland. Also close by is the small historic town of Dunster with it’s Castle and medieval Yarn Market. 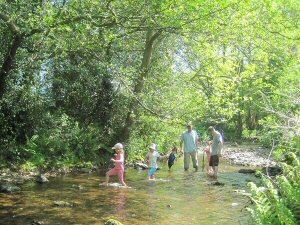 Everywhere you go there are quaint Exmoor villages with their thatched cottages, pack horse bridges, century old churches and cream teas. With a host of top tourist attractions within an hour’s drive, there’s something for everyone to do and to enjoy, even if it’s just relaxing in the superb surroundings of Burrowhayes. We have 19 modern caravans available for hire which are well spaced around the field by Horner Water, with ample room for cars and for games. They are all serviced with mains water and drainage and each have their own W.C. and shower. They range from the one-bedroomed 4 berth to the two-bedroomed 6 berth and are all perfectly equipped with everything required except your personal linen and towels. Heating and cooking is by gas, lighting and a fridge is on mains electricity. A microwave and toaster is also included. Also beside Horner Water, are two areas reserved for the accommodation of touring caravans where 16 amp electrical hook-ups and television link-ups are available to some pitches. The camping field lies adjacent to the field where the ponies graze at night and stretches from behind the stables to the boundary with Horner woods. The farm buildings have been converted to riding stables where the horses and ponies are a main attraction to many on the site. 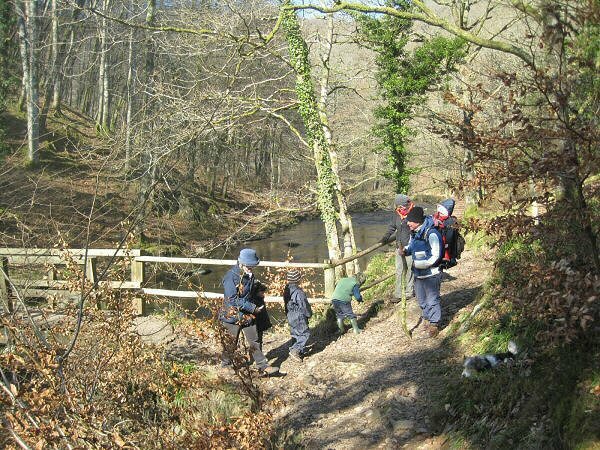 Burrowhayes Farm Riding Stables Ltd. organise escorted rides of mixed abilities in the glorious Horner Valley and on the open moorland of Dunkery, Ley Hill and Selworthy.